Remakes are a funny thing. Most people are unabashedly vitriolic in their hatred of remakes, and rightly so in most cases. 95% of remakes are made with dollar signs in the eyes of their producers rather than a genuine love for the original film from the filmmakers themselves let alone the backers looking to make a quick buck. We’ve become so used to remakes that the mere mention of the word attached to certain properties (Jaws, Suspiria, The Exorcist, etc) illicits the most intense backlash from filmgoers and filmmakers alike. As with most things, there are exceptions to the rule. There are a certain number of remakes, specifically horror, that most fans would agree are better than (or equal to) the original films. The problem seems to be that when there isn’t anything new to say or add to a film, what’s the point of remaking it in the first place ? A prime example of a good update to an already good film is 1978’s “Invasion of the Body Snatchers”. Not only does it have an excellent cast (Leonard Nimoy, Donald Sutherland, Jeff Goldbum, Robert Duvall, even the star of the original film Kevin McCarthy makes an appearance) but the story slowly ratchets up the tension, building to a surprising and unsettling ending. Actually, the second remake (Abel Ferrara’s 1993 effort) is certainly watchable in its own right, though I can’t vouch for 2007’s “The Invasion”. Speaking of Goldblum, many would argue that his (or rather, Cronenburgs) remake of “The Fly” is another remake that certainly stands up to, or surpasses, the original (sorry Vincent). Others would certainly include Carpenters “The Thing” as well as a few recent and surprisingly good attempts (The Crazies, Dawn of the Dead, Piranha, The Hills Have Eyes). 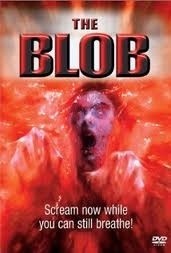 I had already suspected as much, but upon re-watching the remake of “The Blob” last night, I would most certainly add it to the (unfortunately) small list of worthy remakes. 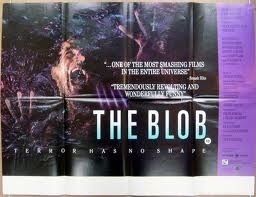 The 80’s were a great time for modern horror films. The (continued) emergence of the slasher film and glorious practical effects lead to a heyday of “classic” horror. 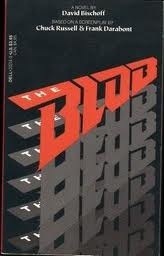 That is to say, the horror that prefaced the modern take on gratuitous violence and gore. It may not be your cup of tea, but for gorehounds the 80’s were a treasure trove of gems that studios couldn’t pump out quickly (and cheaply) enough. 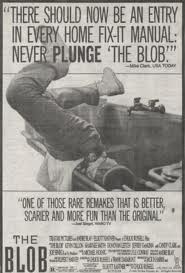 That said, the remake of “The Blob” embraces these effects (as one would suspect) and, with all due respect to the jell-o monster of the original (and Steve McQueen), the effects are astonishing and (obviously) blow away the originals’. On the one hand it’s difficult to compare the two, being 30 years apart and with entirely different intentions. 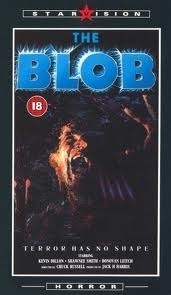 Still, the 80’s incarnation of “The Blob” fires on all cylinders. It’s fast, gross, intense and unpredictable, just as it should be. 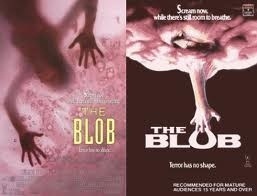 In fact, the practical effects reminded me of Rob Bottins’ incredible work for “The Thing”, another excellent remake. The premise involves a (supposed) meteor crashing in the woods of a small town. A homeless man goes to investigate and has his hand surrounded by a small blob-like thing. 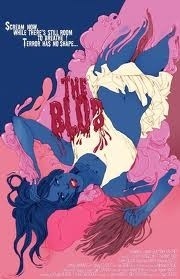 The main characters take him to a hospital and all hell breaks loose. A platoon of men in biohazard suits show up mysteriously to quarantine the town, but do they know more than they’re letting on ? Interestingly, several members of the cast went on to higher profile projects. Shawnee Smith (the Saw franchise), Bill Moseley (Texas Chainsaw Massacre 2+3D, The Devils Rejects), Kevin Dillon (Entourage, Platoon), even 60’s folk rocker Donovans’ son (also named Donovan) makes an appearance ! 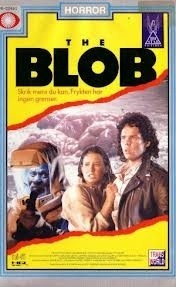 While an 80’s version of a 50’s movie about a gelatinous blob isn’t something you expect to be well acted, the cast more or less does their part. No one is particularly awful, though you question why the dishwasher would stick his hand down the clogged drainpipe past his elbow. I mean, I guess we have the luxury of knowing there’s a gigantic amorphous blob in the pipes, but still, come on man !! It surprises me how little this movie is discussed or (seemingly) regarded. The original is largely known for the effects and the appearance of Steve McQueen, and although a fun romp, it is very much a product of its time. One could argue the same about the remake I suppose, but it has a wonderful sense of humour and never takes itself too seriously. 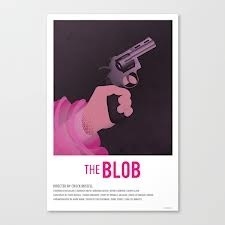 The blob itself occasionally looks a bit hokey, but the death scenes are all incredibly done and stack up to any (especially highly touted) horror film of the time. If it weren’t obvious by now, I can’t recommend this film enough. 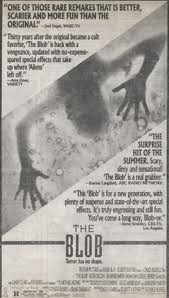 It works as a remake, as a creature feature, as a time capsule for its yet to blow up stars and even as a date movie (if your date isn’t easily grossed out, or doesn’t mind hiding in your arms from time to time). It’s a shame that this film isn’t as highly regarded as it should be, but at least I feel I’ve done my part by prattling on about it throughout this review. 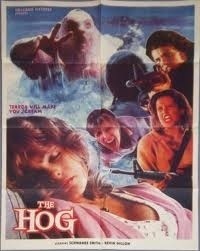 Now, lets enjoy this bizarrely titled poster for the film, “The … Hog” ? Is that …. Wait, what ? 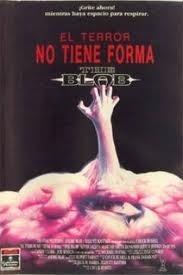 This entry was posted in Reviews and tagged 2012, Blob, Crackers, Donovan, fx, gore, Horror, Horrorthon, jello, October, Remake, saw, Sci Fi by lazron. Bookmark the permalink.